The origins of the call to Africa were felt in Blessed Theresa Gerhardinger’s lifetime when slave girls were ransomed and brought to the Munich motherhouse for education. This dream was never realized in Blessed Theresa’s lifetime, however, due to the deaths of the young women she hoped to educate. 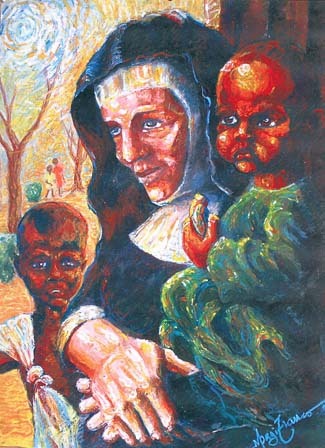 It was not until 1970 that the first School Sisters of Notre Dame actually went to Africa. The District of Africa was founded in 1996. On August 28, 2011, during the Feast of St Augustine, the first Provincial Council was installed for the new Province of Africa. They currently minister in Ghana, Kenya, Nigeria, Liberia, The Gambia and Sierra Leone.